Aug 21, 2015 - PacSun, Do you want to save more? There’s a new sale offer available from PacSun. Get up to 25% off your purchase! Spend $50 or more and take 15% off. Spend $75 or more and take 20% off. 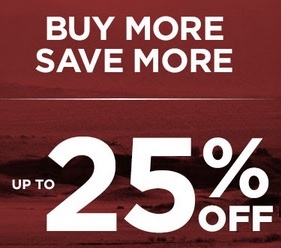 Spend $125 or more and take 25% off. The PacSun offer is valid for a limited time, while supplies last and online only. To receive the offer use promo code: SAVEMORE at checkout. Source of the information is PacSun.